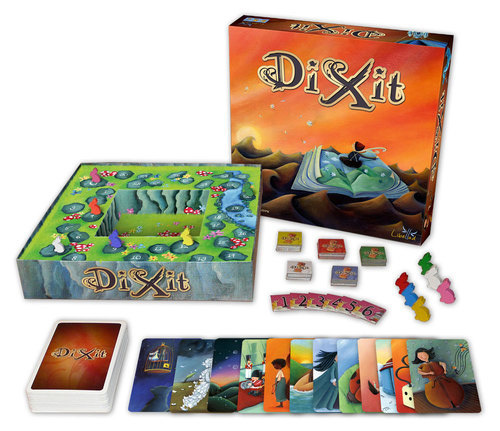 Beautiful and consistent art direction from box to bits! To set up the game, shuffle the big deck of cards and deal each player 6, face down. Each player selects a “Bunny” player pieces and takes 6 vote tiles that match their “Bunny” colorful. The “Bunny” player pieces are placed on the score track on the spot marked “0” and the first player is selected. 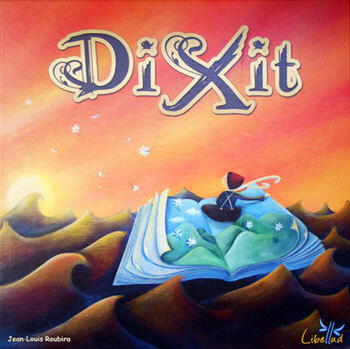 You are now ready to play Dixit! Once all the players have placed their vote tile, they are all flipped and placed on their corresponding cards (vote tile “1” goes on card “number 1”, and so on). The Storyteller reveals which card was the “real card” and points are scored. If all the players voted for the Storyteller card, or if none of the players voted for it, everyone except the Storyteller is awarded 2 points. This goes back to what I said previously about the Storyteller being required to balance their description between explicative and purposely misleading. If they described it too well, all the players would easily select it. If they described it so vaguely as to not really be of any help, then no one might select it. 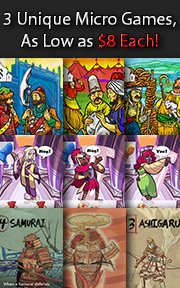 In all other cases, the Storyteller is awarded 3 points as do any player who voted for the Storyteller card. Additionally, each player scores 1 point for each vote placed on their card. 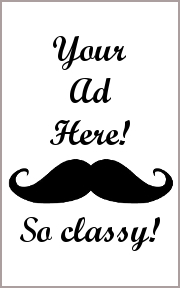 Tagged Bluffing Games, Card Games, Child Geek Approved, Father Geek Approved, Gamer Geek Approved, Humor Games, Parent Geek Approved, Party Games, Storytelling Games. Bookmark the permalink.